With Google's Andy Rubin announcing that there are now 500,000 activations of Android devices per day, it's clear that Google's operating system has hit the big time. However, despite shops such as Phones4U advertising "Latest Android handsets" for the release of phones like the Sony Ericsson Xperia Arc, LG Optimus 2X and HTC Wildfire S, many people are still left asking, "What is an Android phone? And what is an Android tablet?" Android is an operating system for mobile phones and tablets, in much the same way that PCs run Microsoft Windows as their operating system. It's maintained by Google, and comes in a few different versions. At the time of writing, mobile phones run a variant of version 2 of Android, while most new tablets run a variant of version 3. The difference between the 2.x and 3.x versions of Android is mainly in how they use the screen space provided. Because Android 3.x is designed to run on tablets, its apps have been altered to be able to fit more information on the screen at one time. It also puts all buttons for navigation in the interface, while Android 2.x devices tend to include some physical buttons (usually Home, Back, Menu and Search keys). Android's standard layout is to have a series of Home screens, which can contain shortcuts to launch apps, or can contain widgets, which are small programs that serve a single function, such as controlling your music or displaying Facebook updates. From the Home screens, you can bring up a menu with all of your other apps on. Very little is done from within the Android interface, but instead you launch an app for what you want to do, including dialling the phone or browsing through your contacts. Android itself contains the functions that are vital to using a mobile phone, including the phone dialler, text messaging client and phone number storage. Google also provides some additional apps, including a Gmail email client, Google Maps (which features free turn-by-turn satellite navigation) and YouTube. Beyond that, you can also buy or download for free many other apps to enable your phone or tablet to do more. You can get these apps from the Android Market, or from other sources, such as GetJar or Amazon's Appstore. They can also be loaded onto an Android device manually, without using a store. These apps can include ways to use Facebook, create documents, access online storage services such as Dropbox, or there's a huge range of games available. Some social networks are integrated into certain Android phones by default, enabling you to connect someone's contact information in your phone to their Facebook account, for example, and automatically pull through details such as their birthday. Android is open source, meaning that manufacturers don't have to pay Google to use it, and that they're free to modify it. This means that it's used in a wide range of hardware varying in price from small budget phones to large-screen high-end handsets. Because manufacturers are able to tweak Android, it can look quite different on phones from different companies. 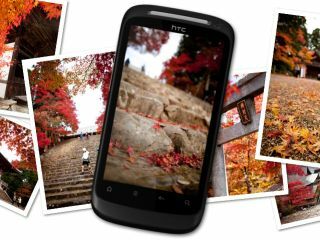 HTC uses an overlay it calls Sense to add its own apps and social networking features to phones such as the HTC Desire S. It even adds a flashy 3D Home screen on the powerful HTC Sensation handset. Samsung uses an overlay called TouchWiz on its handsets, such as the Samsung Galaxy S2, which makes its Android phones look a lot more like the company's non-Android phones.